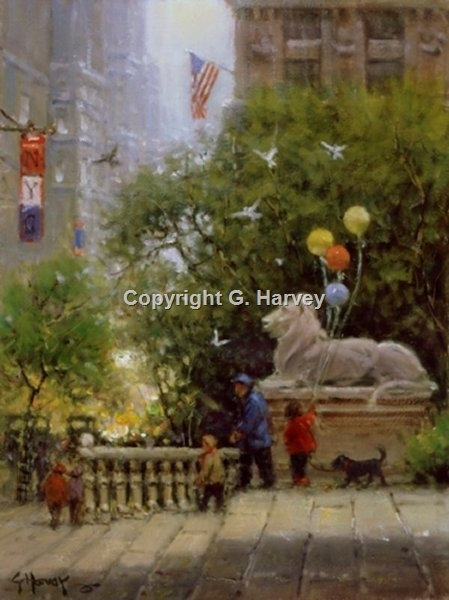 On a recent research trip to New York City, G. Harvey was attracted to the activity surrounding the New York Public Library. The colorful scene and children's laughter contrasted with the ever-present noise of traffic lending a warm and personal feeling to the spot. This colorful, uniquely different composition captures all the excitement of the moment!